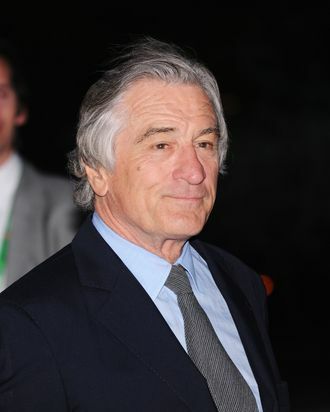 Even though he promised De Niro that he would do a song for the Tribeca Film Festival, and poor Bob called Jay six times to follow-up. So De Niro took the obvious course of action, which was to confront Hov at Leonardo DiCaprio’s birthday party and tell him off for being “disrespectful.” Beyonce tried to intervene! Jay tried to explain that he’s more of a texting guy. But Robert De Niro just stood there fuming, because all Robert De Niro wants in this life is a phone call from Jay-Z. Actors are humans, too.